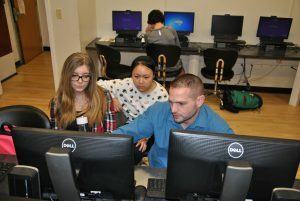 Michael Stolt, Warwick Valley High School STEM Education Teacher, is the fourth Warwick faculty member to become a Master Teacher since 2013. Stolt is the first teacher in Warwick to receive his Master Teacher training by Project Lead The Way (PLTW), a nonprofit organization that provides a transformative learning experience for K-12 students and educators across the U.S. Stolt will join a nationwide network of engineering and math teachers accepted into this program. The PLTW Master Teacher Program requires each potential participant to go through a rigorous application and interview process before they are selected. The goal is to recognize and bring together some of the most motivated and highest performing STEM teachers. Those who are selected to be Master Teachers are then appointed by PLTW to facilitate training events that fit within PLTW’s three-phase Professional Development model. Master Teachers possess a rich understanding of PLTW and its mission, the knowledge and skills required to instruct PLTW curricular offerings successfully, and can apply principles of adult learning to the development and delivery of training. Master Teachers act as instructional role models, ambassadors of PLTW’s mission, and mentors to teachers in PLTW’s network. WVHS student Anthony Gray nominated Mr. Stolt for WFEL’s “Apple of My Eye” teaching award this year. In his nomination essay, Anthony wrote: “Mr. 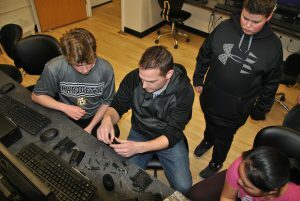 Stolt allows students to explore principles of engineering and computer guided manufacturing with very interesting hand-on projects that make learning difficult subject matter fun.